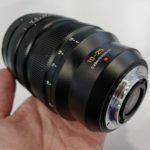 From its size and 77mm front filter thread, it look almost certainly to be a 70-200mm f/2.8. You can also clearly see that the closest focusing distance of the lens is 0.92m (3.02 ft). 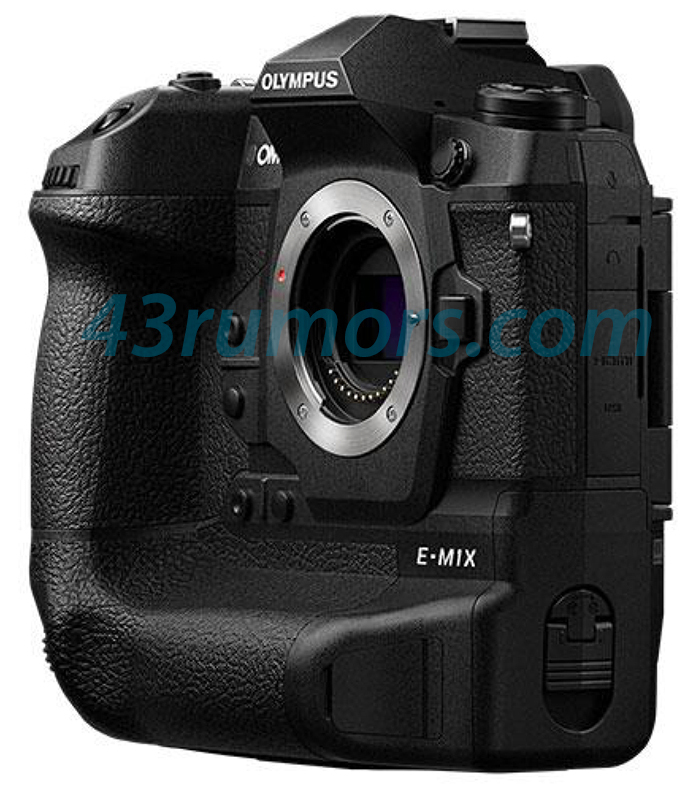 (FT5) These are the full E-M1X specs! 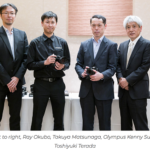 Olympus have introduced a redeveloped gyro sensor – the camera allows for the world’s best compensation performance. In combination with a M.Zuiko IS PRO lens, this technology enables the 5-axis sync IS to compensate for approx. 7.5 shutter speed steps1, eliminating the need for a tripod and enabling free-hand shooting in various conditions. With locked AF, the E-M1X features high-speed sequential shooting at a maximum of 60 fps to capture split-second moments that the human eye cannot see. With AF/AE tracking, a maximum of 18 fps may be reached. The camera’s Pro Capture Mode records up to 35 frames retroactively from when the shutter button is released during shooting. In addition to high-resolution maximum 80 MP images that can be captured in Tripod High Res Shot, a Handheld High Res Shot functionality is now available on the OM-D E-M1X: designed for photographers who don’t want to be limited by using a tripod, this function generates a single high-resolution shot equal to that captured with a 50 MP sensor – without any signs of blur caused by handshake. In addition to professional-quality photos, the new E-M1X is a master at movie-making. It features all the extras videographers need to capture moments as they happen. With the ultra-high Cinema 4K (C4K, 4096 x 2160) movie format, videographers not only have the highest recording resolution to date, but also more flexibility when it comes to post production. 120 fps high-speed movies are also now supported in Full HD resulting in the capability to shoot cinematic movies with slow-motion perception. 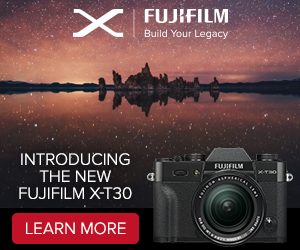 The powerful 5-axis IS and electronic stabilization enable refined handheld 4K and C4K video recording with three selectable levels of movement compensation depending on the photographer’s posture and movement. To counteract changing lighting conditions typical during documentary and nature shooting, the E-M1X supports log shooting. OM-Log400 delivers movies without loss of details in shadows or highlight blowouts, and greater freedom over video creativity through colour grading. With an anti-flicker shooting feature, the camera detects the flicker frequency of artificial light sources and activates the shutter at peak brightness to minimize uneven exposures and coloring between sequential frames (via PR). Flicker scan suppresses striped patterns that can occur when using Silent Mode (electronic shutter) and when shooting movies, so that users can fine tune the shutter speed. 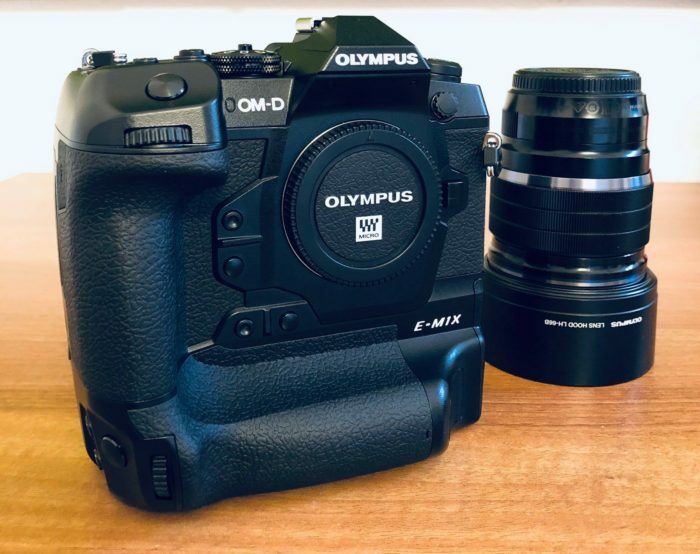 The Olympus E-M1X features world class image stabilisation and stand out new capabilities including 50mp Hi-Res Shot handheld with new built-in ND filters. A new vertical grip houses two batteries for extended use and a deep finger rest for both horizontal and vertical positions gives a more comfortable grip. New twin processors take high-speed performance to another level for both image processing and a re-developed intelligent autofocus system. The magnesium alloy body is fully IPX1 weather resistance tested. 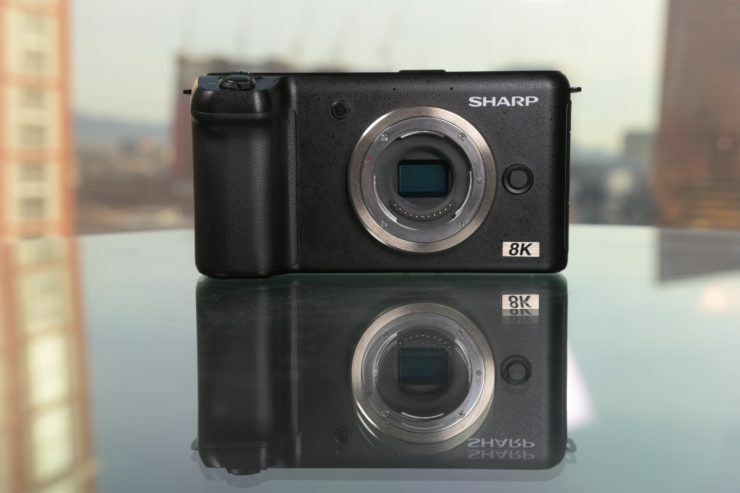 •50 MP Handheld High Res shot functionality. Building on the HiRes innovation on the E-M1 MK II where a tripod was required, the E-M1X can now take a 50mp HiRes shot hand held. Using a tripod it can now produce 80mp images. •Capture up to 2,580 images before having to recharge. Featuring USB Power Delivery (USB-PD) from up to 100 W power sources, both batteries in the camera body can be fully charged in approximately two hours. 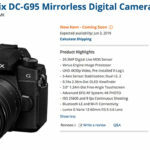 •A new Wi-Fi capture allows tethered shooting without a cable and makes it possible to transfer images wirelessly to a computer with the “Olympus Capture” camera control software. response to the demand of professional users who place importance on holding properties and operability at the time of shooting, we adopted a vertical position grip integrated structure. Both the horizontal position and the vertical position adopt a grip that is deep in the finger scales to improve the holding ability and realize ergonomic property that is less fatigue even in long-time shooting. arrangement and shape of the buttons and levers, it renewed the height, realize the operation of being able to concentrate on more viewfinder shooting Did. Furthermore, a multi selector which can quickly move the focus area while looking through the viewfinder is arranged in each of the vertical position and the horizontal position. In addition to providing a new “C-LOCK” lever, you can lock not only the vertical position control but also the selected operating section. viewfinder has newly designed its optical system and realizes the industry’s top class finder magnification of 0.83 (* 35 mm format conversion). Moreover, it is clearly displayed to the four corners without distortion by the four-piece composition using an aspherical lens or glass with a high refractive index. 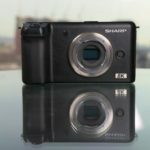 Like the “OM – D E – M1 Mark II”, it achieves a high – speed frame rate of 120 fps (progressive method), a display time lag of only 0.005 seconds, and captures moving subjects without stress. 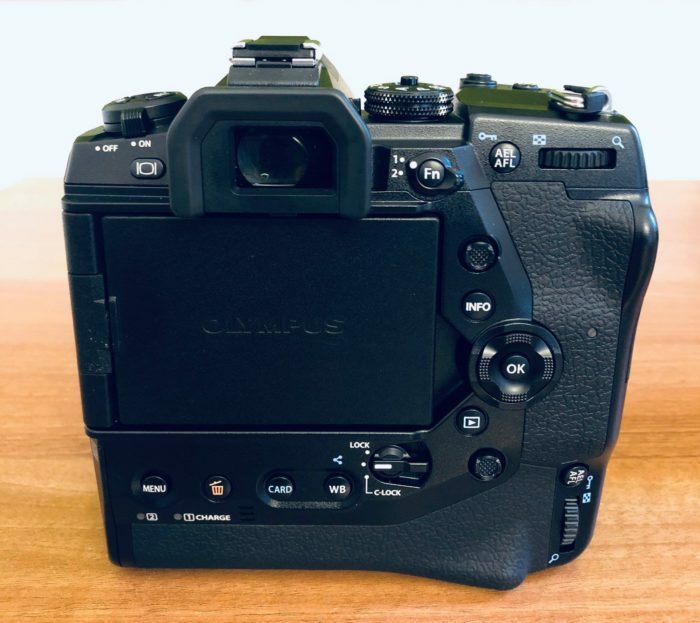 “OM – D E – M1X” has been developed to allow shooting even in harsh environments where professional photographers will meet, conducting an internal drip – proof test that is stricter than IPX 1 I will. You can shoot without the influence of the weather by realizing dustproof, drip-proof, low temperature resistance (-10 ° C) even when the cable is connected to the remote cable, microphone and headphone jack. Moreover, by adopting a new coating for SSWF (super sonic wave filter via Photo Rumors) which vibrates more than 30,000 times / second to remove dirt and dust, the possibility of dust and dust reflection in the photograph is reduced to 1/10 compared to the conventional It is. A heat dissipation structure that suppresses function limitation due to temperature rise at high load such as movie shooting and continuous shooting in the scorching sun and 400,000 times shutter life realize robustness and high reliability for professional photographers with peace of mind It is. loading system which can insert two lithium ion batteries “BLH – 1” adopted from the cartridge type battery loading system “OM – D E – M1 Mark II” is carried. Approximately 870 shots are possible (* CIPA test standard, about 2,580 in Olympus measurement in low power consumption shooting mode), battery exchange is easy even with a single leg or tripod attached. In addition, it is compatible with the USB PD (Power Delivery) standard, enabling power supply from USBPD standard power supply of maximum 100 W. It is also possible to charge the two “BLH-1” loaded in the body at the fastest about 2 hours. “OM – D E – M1X” which can quickly move the AF area has AF multi selector which can move the AF area quickly while looking through the viewfinder in each of the vertical and horizontal positions.Movement of AF area during continuous shooting and movie shooting is also smooth. 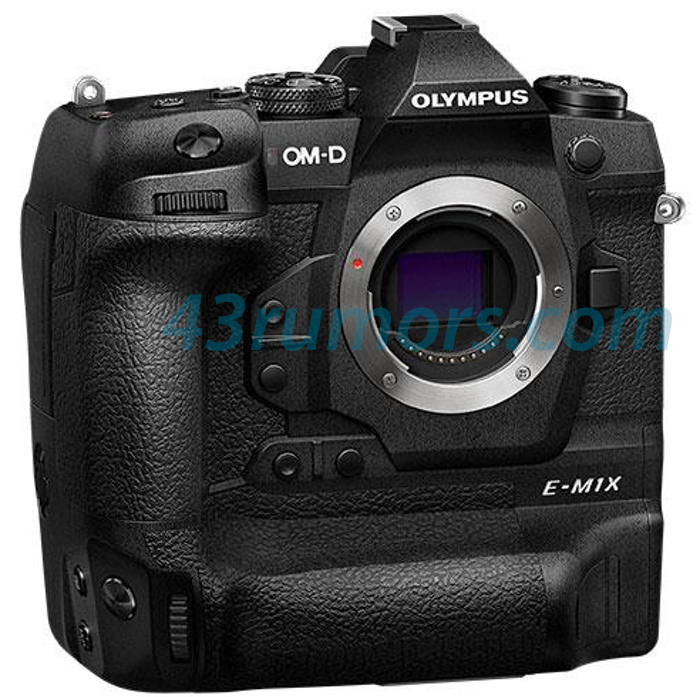 “OM – D E – M1 Mark II” continues to be adopted, accurate with various composition Focusing with high degree of freedom can be performed. 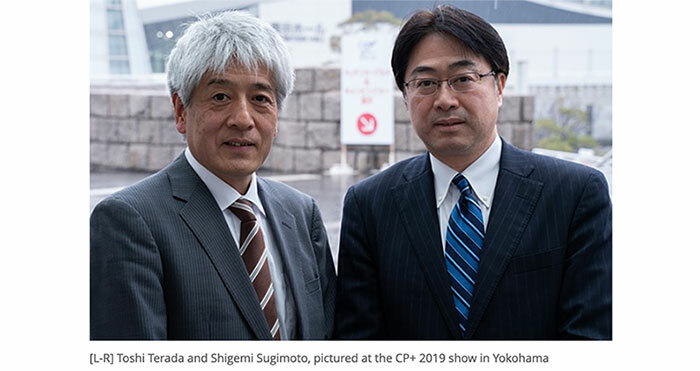 As a feature of Olympus’s image plane phase difference AF, you can quickly follow the speed change of irregularly moving subjects and subjects by using AF information not only from live view images but also from captured images. The AF low brightness limit realizes -6.0 EV (equivalent to ISO 100) when F1.2 lens is installed, and focuses on dark scenes and low contrast subjects with high precision. Vertical / Horizontal Position You can set the AF target mode and AF area position for each shooting, and C – AF + M, which can instantly switch the MF by turning the focus ring during C – AF, Various AF settings according to the professional photographer’s needs are possible. The AF target mode also supports a new 25 point group target, and also has a custom AF target mode that allows AF area to be placed freely. which can record up to 35 frames from the time of shutter release can be recorded backwards, there is no blackout (image loss) at shooting, 20M high Recording with pixels, and also shooting in RAW mode are supported. 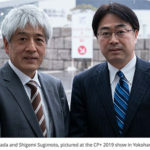 Ever since its incorporation in “OM – D E – M1 Mark II”, it is also highly valuable from professional photographers and it is effective when photographing subjects with unpredictable movements as “works”. Reduced startup time and sleep recovery time, both SD card slots realize high speed response such as high-speed UHS-II support. 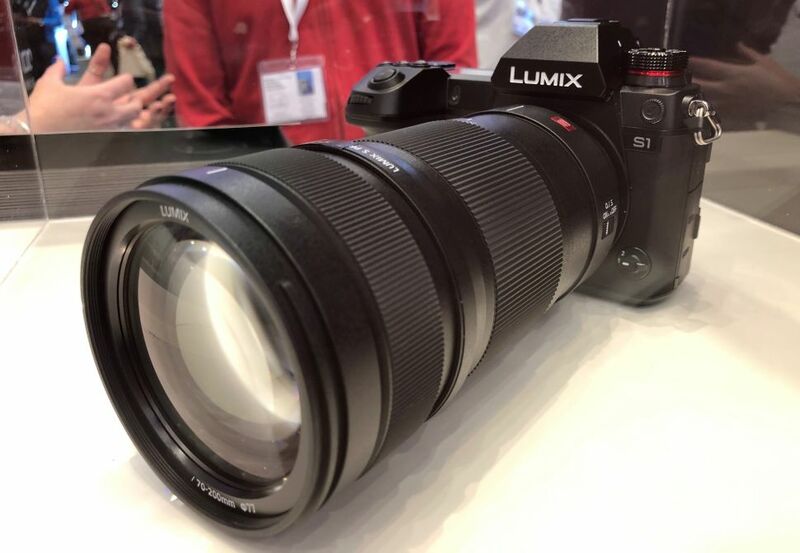 In addition to contributing to speedup of cameras, we realized state-of-the-art shooting functions such as “handheld high res shot”, “live ND”, “intelligent subject recognition AF”. reso shot” In addition to “tripod high res shot” capable of shooting ultrahigh resolution images of up to 80 M, “new handheld high res shot” specially requested from landscape photographers is newly installed did. High resolution images can be captured on hand, making it especially useful for high-definition photography in places where there are many mountain landscapes and tripods that can not be used. which can express expression using slow shutter effect “Live ND” which can express expression using slow shutter effect like using ND filter was installed. It is a new technology that can obtain slow shutter effect by combining multiple exposed images. In addition, you can check the slow shutter effect with the viewfinder before shooting by live view, and you can improve the shooting efficiency.The effect can be selected from 5 stages of ND 2 (equivalent to 1 shutter speed), ND 4 (2 steps), ND 8 (3 steps), ND 16 (4 steps), ND 32 (5 steps). powerfully Strong 5-axis camera shake correction + electronic camera shake compensation enables high-quality 4K, cinema 4K movie handheld shooting. The camera shake compensation intensity can be selected from 3 levels according to the attitude and movement of the photographer. 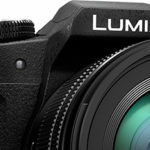 It is compatible with “OM – Log 400” shooting, which allows you to shoot without darkening from highlighting to dark areas and highlighting, and performing color grading by allowing you to express images with high degrees of freedom. to 120 fps high-speed movie with FullHD. Impressive image representation by slow motion effect becomes possible when playing. 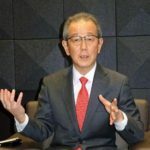 utilizing Deep Learning Technology A newly developed algorithm was developed using deep learning technology which is a kind of AI. It detects subjects in three genres of motor sports, aircraft and railroad, focuses on the best point, and tracks. For example, in the case of motor sports, since the subject is automatically detected by focusing on the driver’s helmet, it is possible to focus on the composition as well as improve the autofocus accuracy. By installing a newly developed gyro sensor, up to approximately 7.0 steps of body alone, “M. With ZUIKODIGITAL ED 12-100 mm F 4.0 IS PRO “, we realized” 5-axis synchro anti-shake correction “which is the world’s maximum about 7.5 steps. 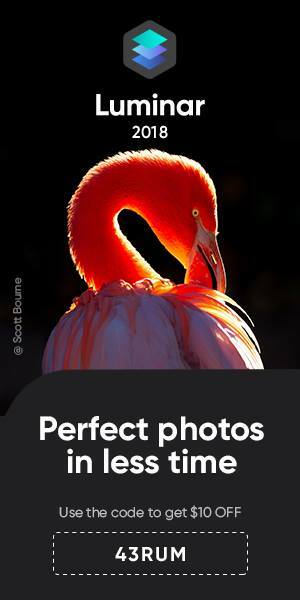 You can also take hand-held shots with an unprecedented low-speed shutter, which is useful for nighttime, indoor shooting and other photography. Field sensors such as GPS sensor, thermometer, atmospheric pressure sensor, and compass are built in the camera. More detailed shooting information can be added to the image data by the camera detecting and recording the temperature, altitude, orientation, including position information of latitude and longitude. camera detects the blinking cycle of artificial light represented by a fluorescent light, controls the shutter to cut off according to the peak of brightness, uneven exposure between continuous shooting frames, and color unevenness The “flickering less shooting” which suppresses is carried. Moreover, it also supports “flicker scan” which can set the shutter speed more precisely in order to suppress the striped phenomenon which occurred when using silent mode (electronic shutter) and movie shooting. camera control software that supports image transfer supports newly transferred images via Wi-Fi.You can wirelessly transfer images to your PC without connecting a USB cable during studio shooting. The frequency used is 2.4 GHz band and the 5 GHz band (which is specification which does not use some standards depending on the country of sale) which can perform high speed communication is usable. 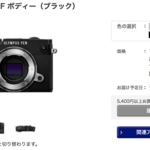 For details, please refer to “Olympus Capture” website. 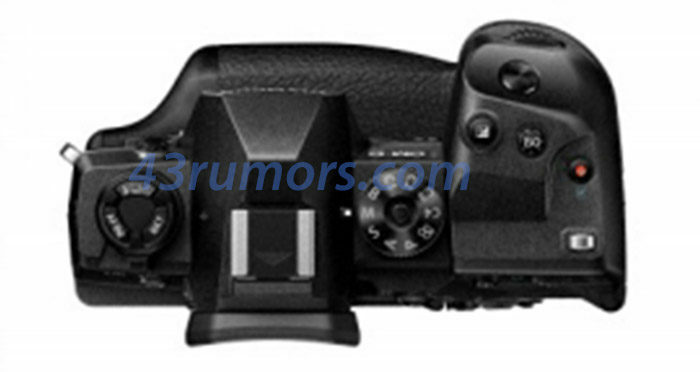 POLL: Will you buy the new Olympus E-M1X? Nearly all specs, images and pricing info have been leaked (read here and read here). For $3,000 we are getting all the best tech Olympus can offer. Of course we have to see some real world test to see if all that tech actually delivers what it promises. 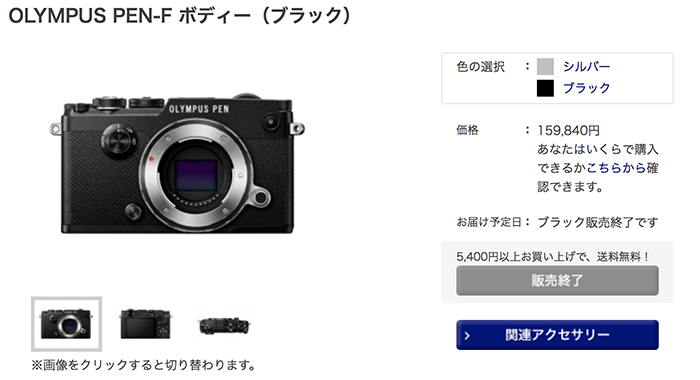 Will you buy the new Olympus E-M1X? 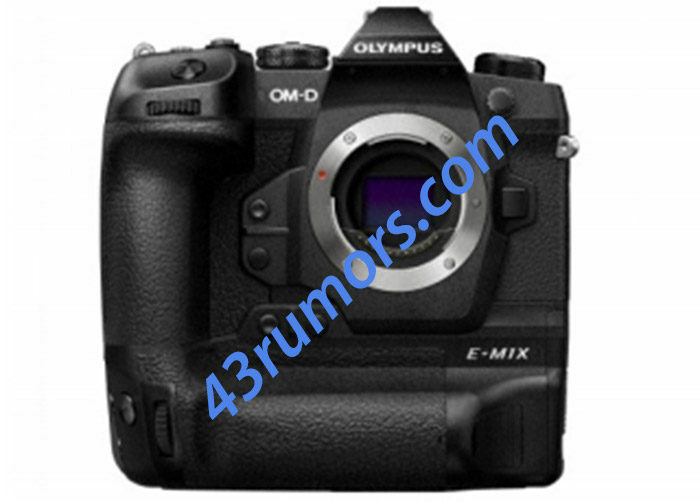 I still have to get a reliable confirmation yet but it seems like there is a good chance Olympus will release a new E-M1II firmware update too.. 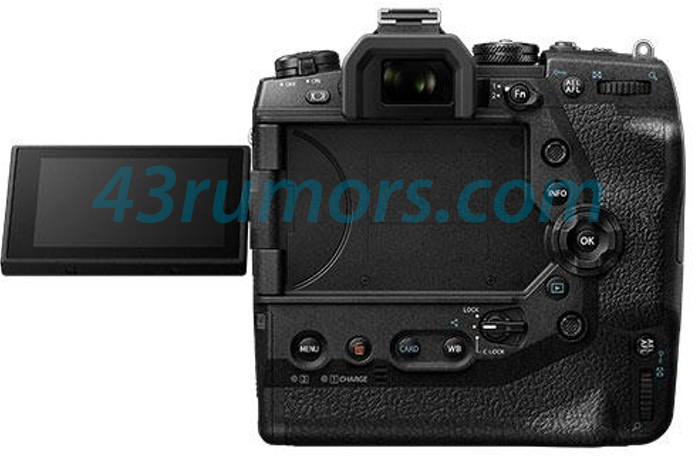 Some more E-M1X info: Video specs are on par with the GH5s, autofocus equal to the Sony A9, best EVF in the industry! 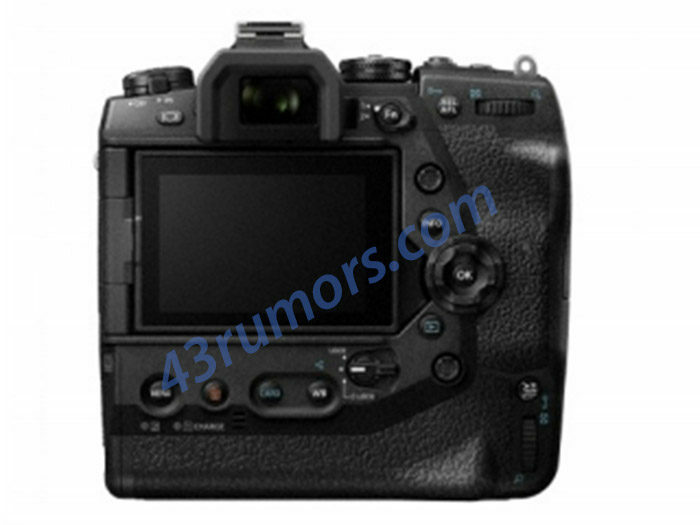 One of our anonymous commenters named “spycychyly” shared a lot of interesting details about the E-M1X he claims he is testing. Thanks spycychyly!